The biggest game of the weekend is the one that gets Premier League football back underway after a two-week absence during the international break. Maurizio Sarri will be hoping his Chelsea side can keep up their unbeaten start to the season against a Manchester United team who just scraped past Newcastle United in their last fixture. Sarri has got his Chelsea side playing some fantastic football which many are labelling 'Sarri-ball' whereas, many Man United fans are becoming bored with Jose Mourinho's negative approach to most games. 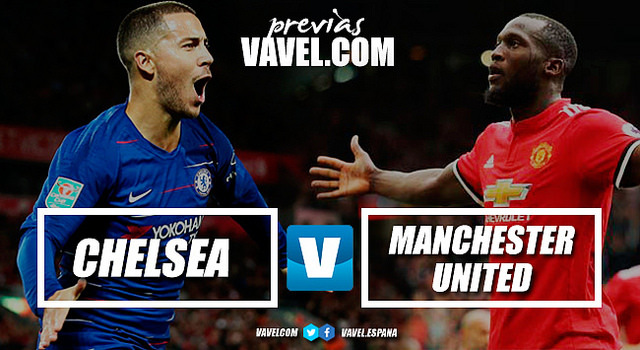 Chelsea supporters will be hoping for attacking football and will be confident of getting all three points if their top players are on form against a dejected United side. Mourinho will be hoping the international break will have given his star players a chance to re-focus on the Premier League and be ready to play for him and get the results required. Since Sir Alex Ferguson left the club United have failed to win at Stamford Bridge, playing six and losing five and drawing just the one game. That is something the former Blues boss will be wanting to change as he tries to get one over on his former club. However, this won't be easy for a United side that seemed to lack ideas and confidence before the international break, whereas Chelsea are playing some of their best football they have for years. Despite Chelsea's tremendous unbeaten start to this campaign, their manager still believes there is still room for improvement, he told the club's website: "I'm very happy with the results but we need to improve and we can improve. "We need to improve on our performances and in the defensive phase." This should give the United players confidence that they can get at the Chelsea defence and then set-up to protect their lead. Sarri has a near full squad to chose from for Saturday's early kick-off with only Ethan Ampadu, Callum Hudson-Odoi and Ross Barkley the only doubts. However, more positive news for the Italian coach Antonio Rudiger and Mateo Kovacic are both expected to play some part in the game on Saturday. Whereas Mourinho has a lot more injuries to cope with this weekend with Luke Shaw, Nemanja Matic, Marouane Fellaini, Scott McTominay and Diogo Dalot all suffered knocks while on international duty and are doubts. Jesse Lingard is still sidelined with an injury he has had the last few game weeks as well as Marcos Rojo. Although, combative midfielder Ander Herrera is expected to be apart of the squad, although it is not clear whether or not the Spaniard will start.